Qualification Grand Champions Cup 2017. .
Game date time team 1 score team 2 pts set 1 set 2 set 3 set 4 set 5 dur att. All teams advanced to Quarter-Finals (1/4). date time team 1 score team 2 pts set 1 set 2 set 3 set 4 set 5 dur att. transferred from First Groups Round - South Korea 3:2 Japan, Kazakhstan 3:2 Indonesia. transferred from First Groups Round - Iran 3:0 Taiwan, Australia 3:0 China. First 2 teams advanced to Classification 9-12. Rest to Classification 13-16. Matches played at W.E.P. 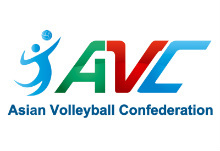 transferred from First Groups Round - Qatar 3:0 Saudi Arabia, Vietnam 3:2 Sri Lanka. transferred from First Groups Round - Pakistan 3:1 Iraq, Thailand 3:1 Hingkong. First 2 teams advanced to Second Groups Round. Rest to Second Groups Round - Placement 9-16. Made in Bangkok on 27th February 2017. First 2 teams were distributed via serpentine system following World Ranking. Indonesia was put first. Teams from Pot 3 were drawn. East Asia - 5 teams. Central Asia - 4 teams. West Asia - 3 teams. SouthEast Asia - 3 teams.